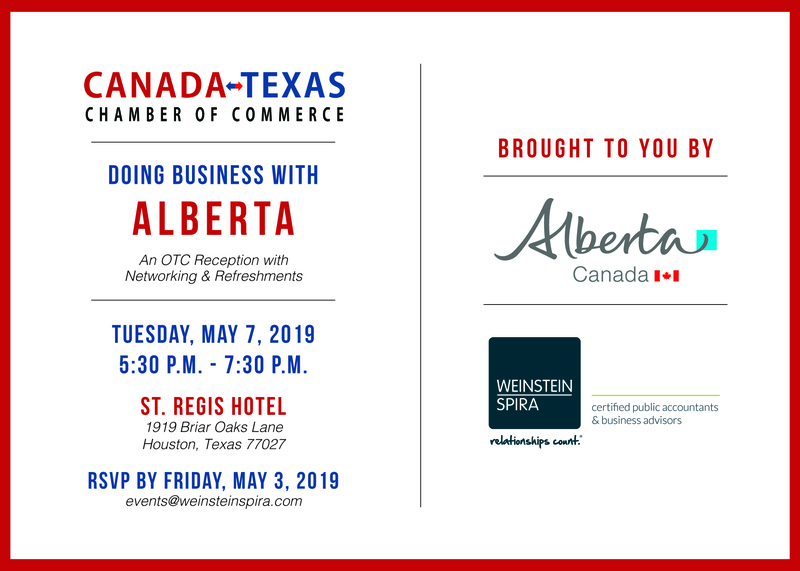 Join us for our third annual Doing Business With Alberta event on Tuesday, May 7, 2019 at the St. Regis Hotel. This will be an opportunity for Canadian companies attending the Offshore Technology Conference and local Texas companies to connect and discover partnership opportunities. Brought to you by: Alberta Canada and Weinstein Spira.